A woman’s search for finding a comfortable bike seat for long rides may finally be over. Drs. Andy Pruitt (inventor of Specialized’s Body Geometry program) and Sonja Stilp created a bike seat that reduces numbness and pain by mimicking the body’s response to different types of pressure. The result is a more comfortable equilibrium for female riders. Many women experience saddle discomfort but often don’t discuss it. Just because talking about labia pain is an uncomfortable subject doesn’t mean it has to translate into an uncomfortable ride. 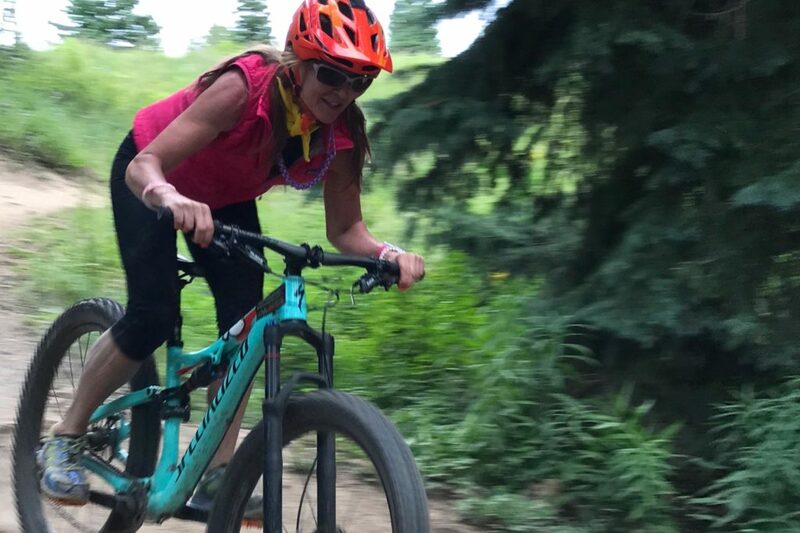 And Dr. Stilp, a former competitive road and mountain bike racer herself (as well as full-time mom), knew there had to be something better than the status quo. Through extensive testing, Pruitt and Stilp concluded that women were putting undue pressure on their genitalia on the nose and mid-shaft of the saddle. Enter Mimic technology. Short for biomimicry, this technology provides structural and anatomical support for women’s soft tissue. For discomfort at the seat’s nose, soft foam eliminates pressure. And at the rear, firmer foam provides sit bone support. And although a traditional bike seat’s cutout works for some women, Pruitt’s analysis and testing discovered that cutouts aren’t one size fits all. As a result, soft memory foam delivers anatomical support to prevent soft tissue swelling. The Power Mimic also features an updated shape with tapered wings to minimize thigh rubbing. The women’s Power Saddle with Mimic is available now and in 143, 155, and 168mm widths.